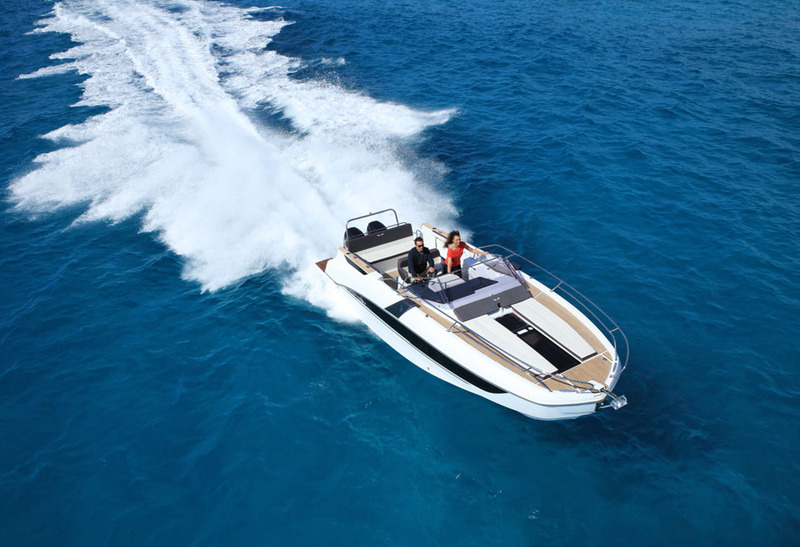 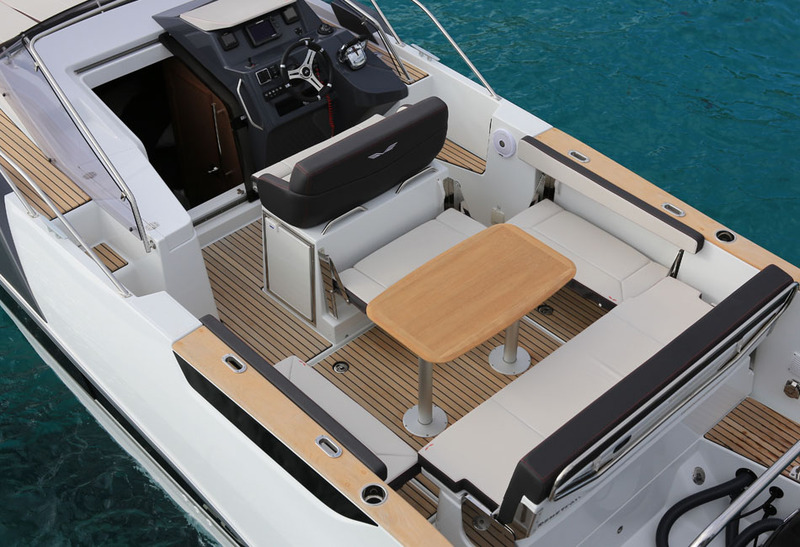 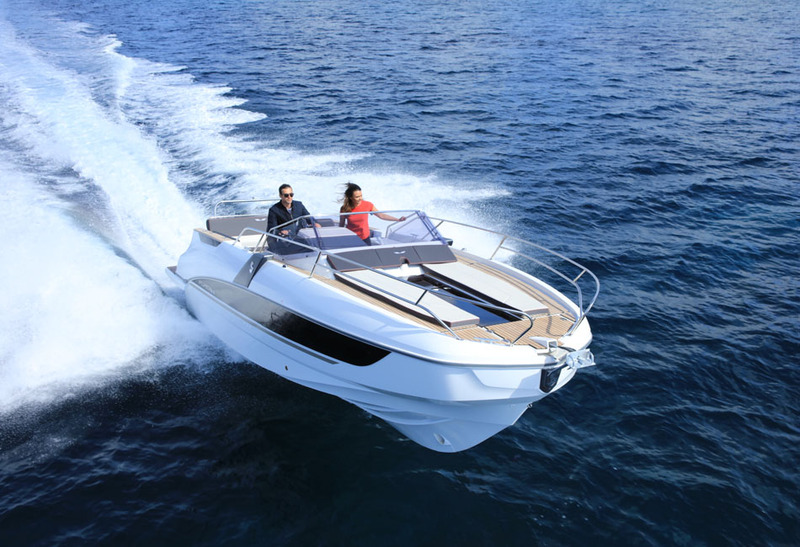 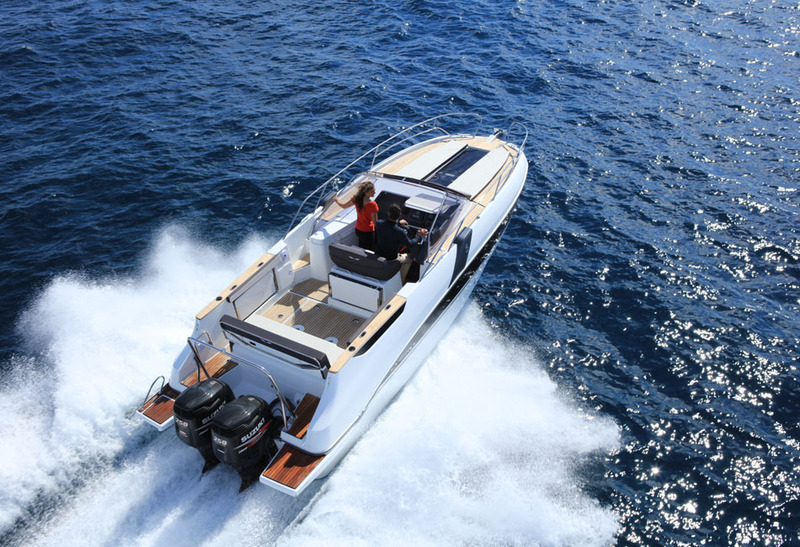 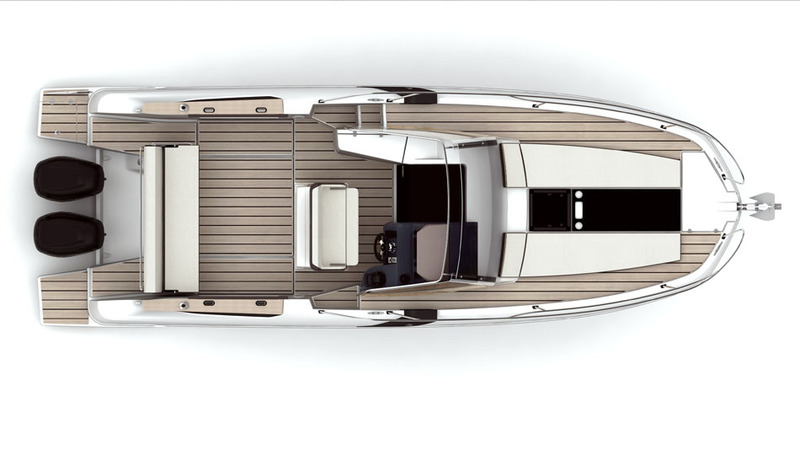 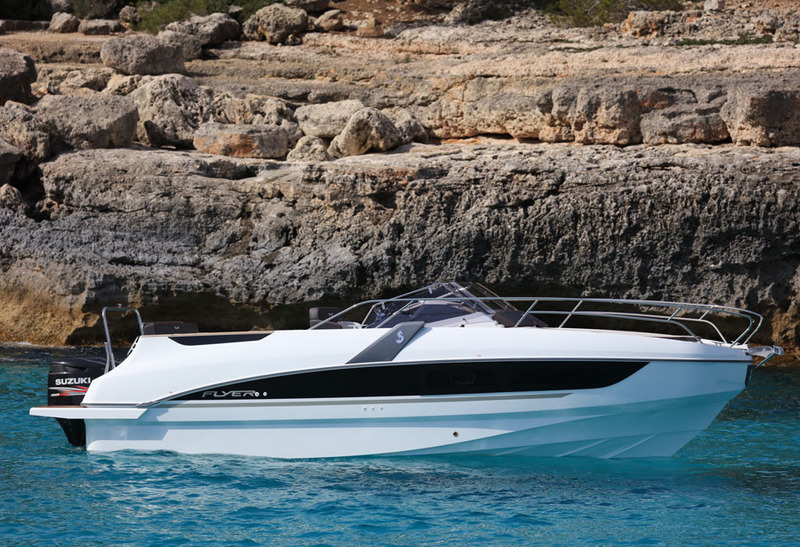 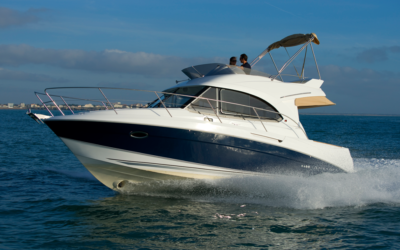 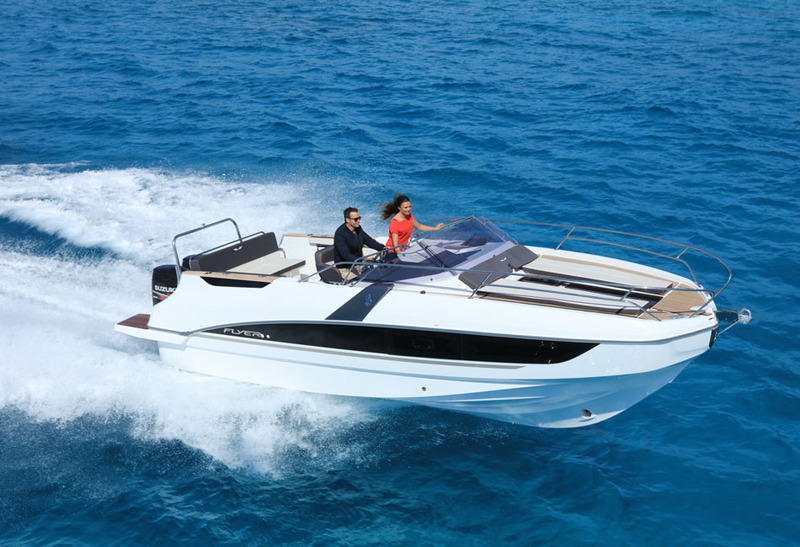 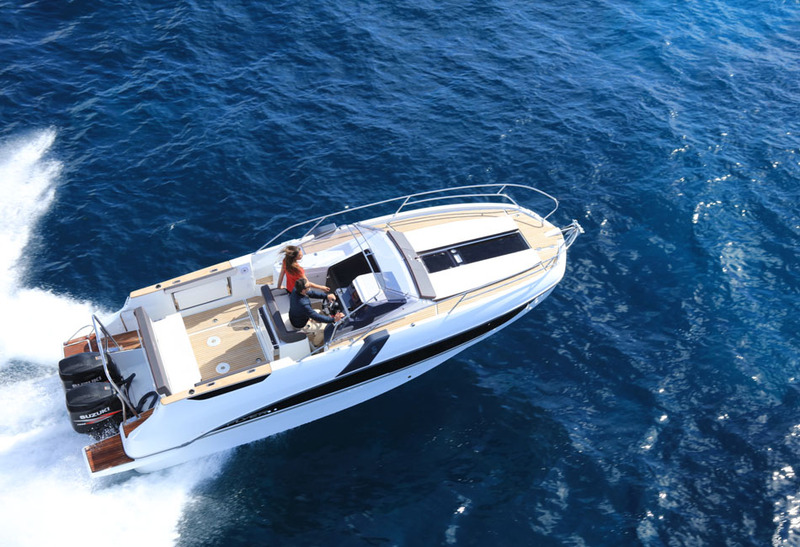 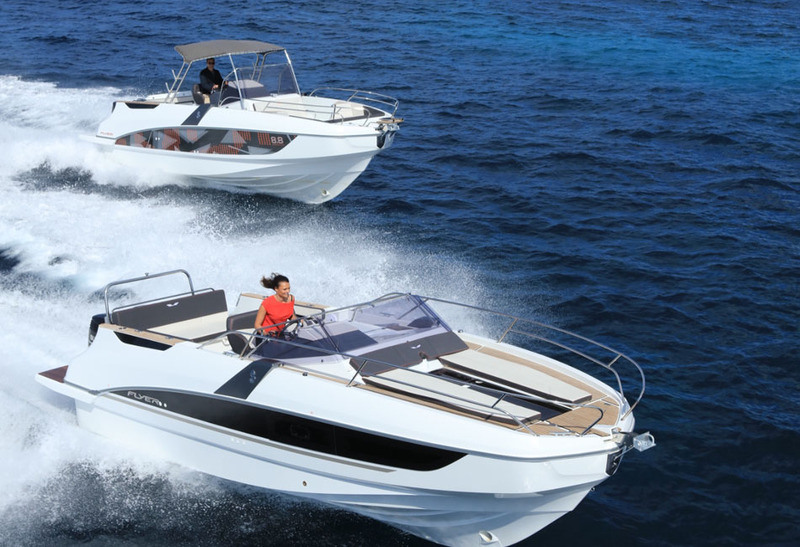 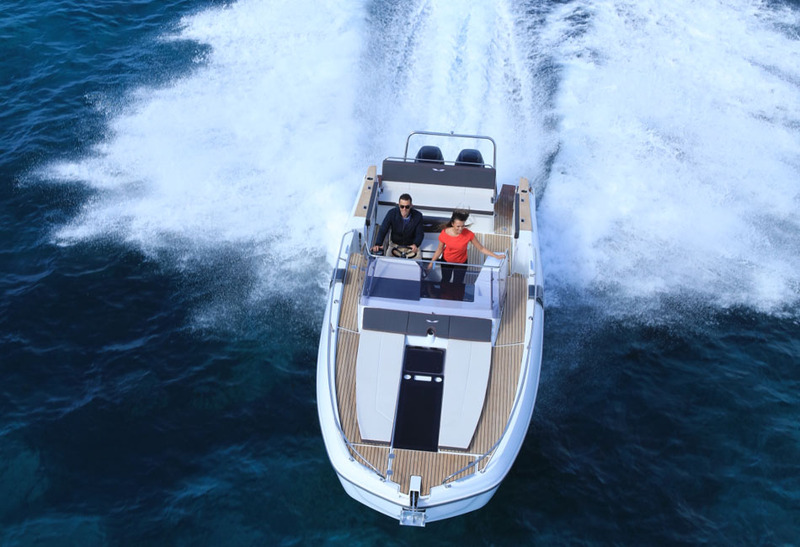 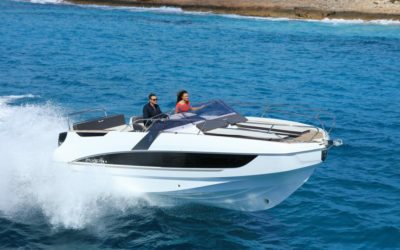 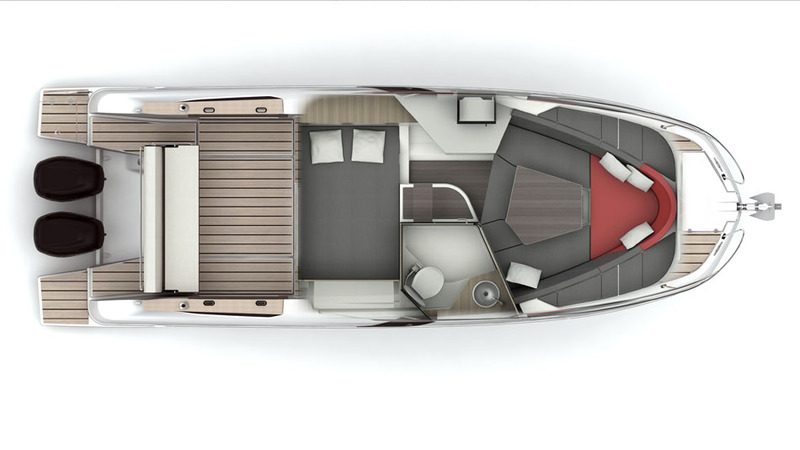 The Flyer 8.8 Sundeck combines technology, performance, and comfort seamlessly into one beautiful boat. 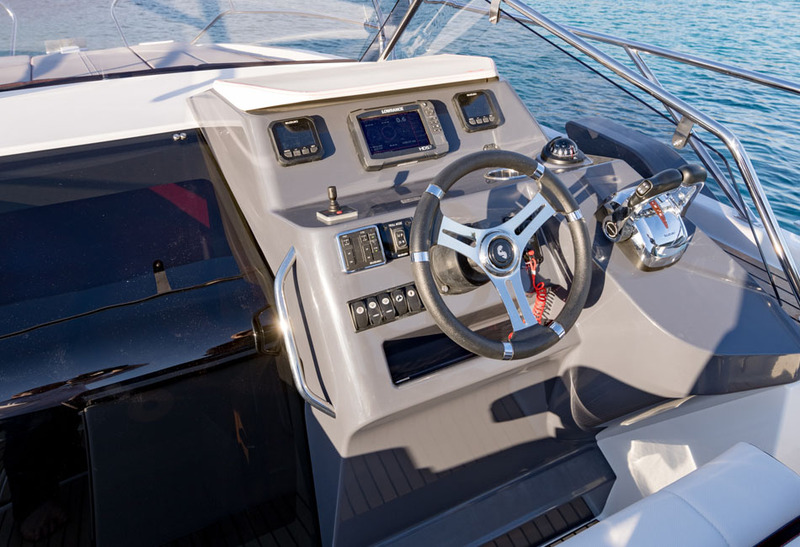 She makes driving a real delight, and comes with deck plans that give preference to relaxation areas without compromising safety. 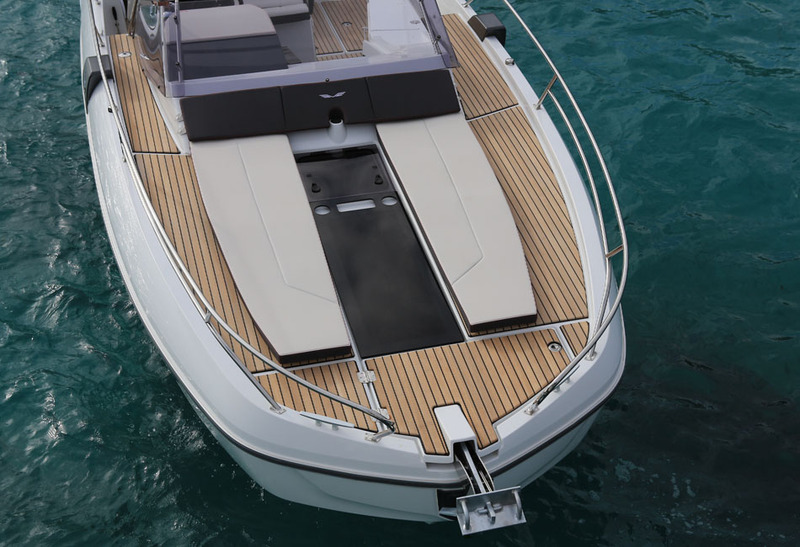 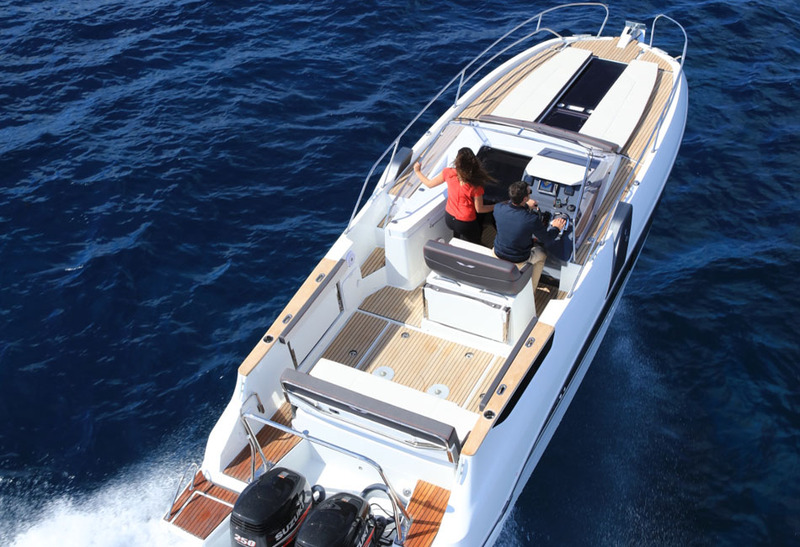 The profiled lateral struts of the Flyer 8.8 Sundeck make her truly stand out among a sea of other boats. 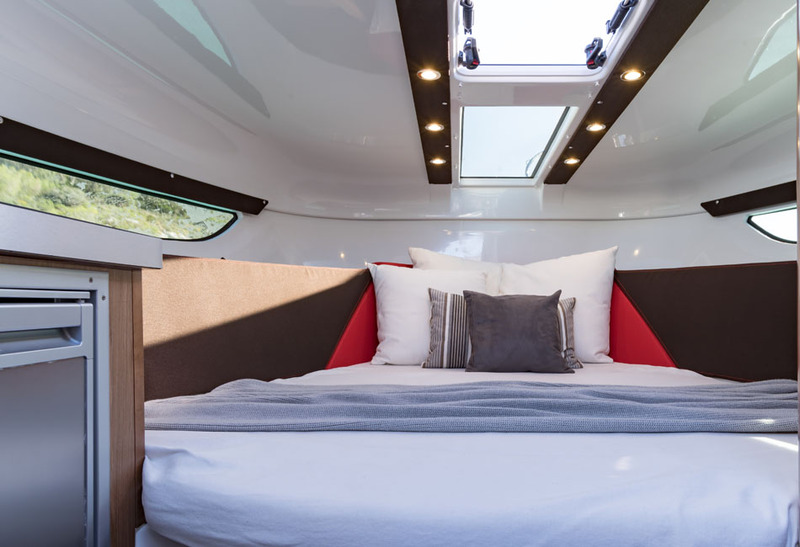 A distinct windshield design and warm shades of Bordeaux and coffee add to her inviting atmosphere. 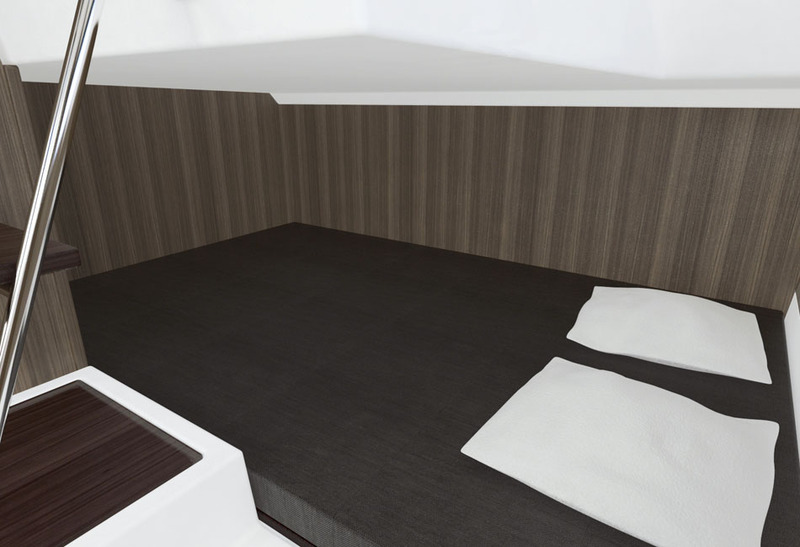 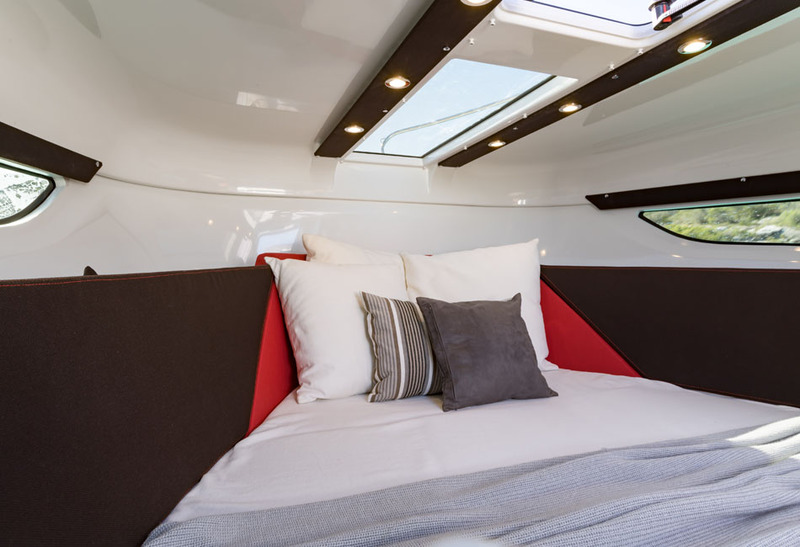 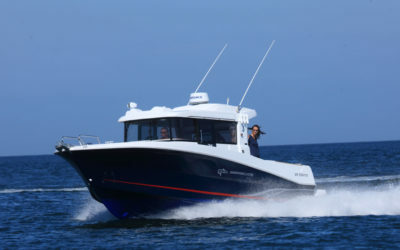 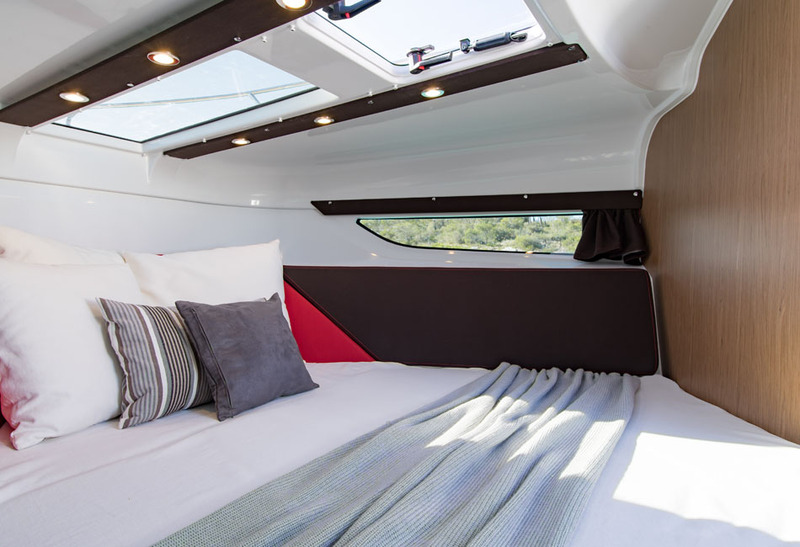 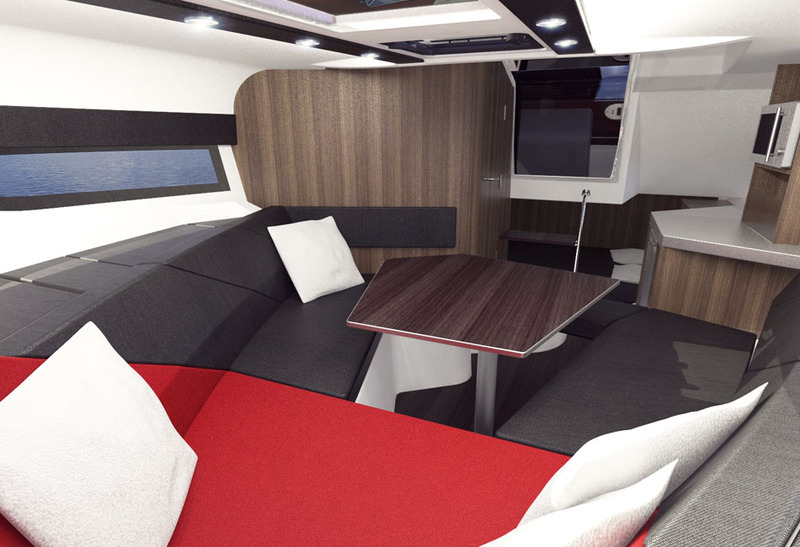 The Flyer 8.8 Sundeck is built with a forward sundeck equipped with two or three mattresses, based on owner preferences. 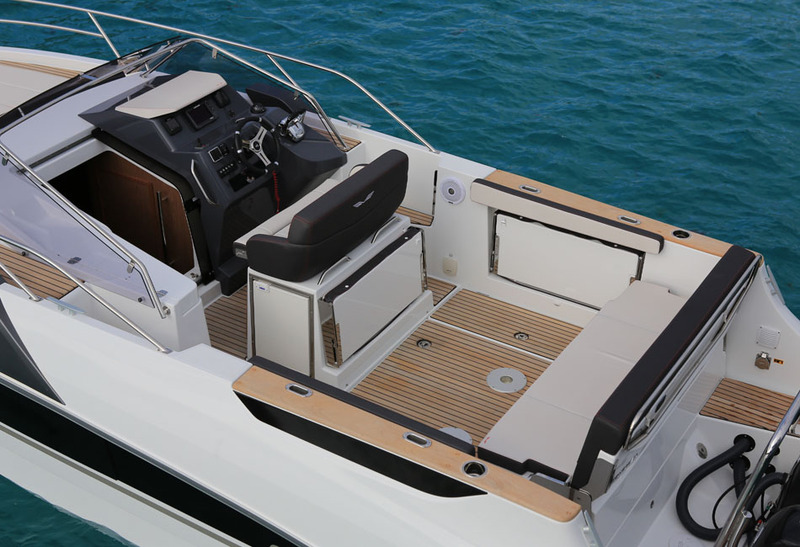 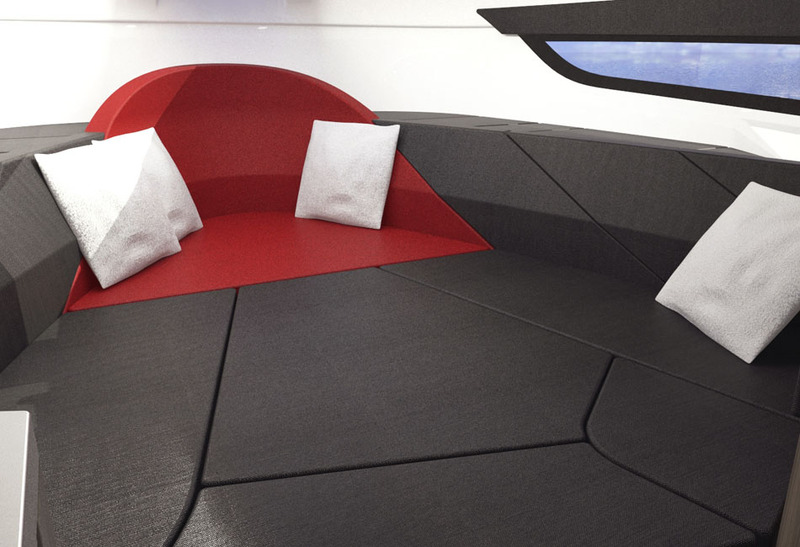 Inside, the Skydeck hatch and ventilating portholes make life aboard outstandingly comfortable.